Today marks an historic event, nearly one month after the slaying of nine African Americans as they gathered to pray, South Carolina removed the confederate flag from the state capitol grounds. And I am glad. I was on vacation in the mountains of North Carolina, when I first heard news of a shooting. We had traveled from Florida with five other families to disconnect and recharge for a week. With very little cell coverage, if any where we stayed, we heard bits and pieces of news of a shooting in a church, but knew very little details. The following depicts our conversation in the early part of our ride home as we became privy to the reality of what had occurred. There were four passengers in my car, two black, two white. 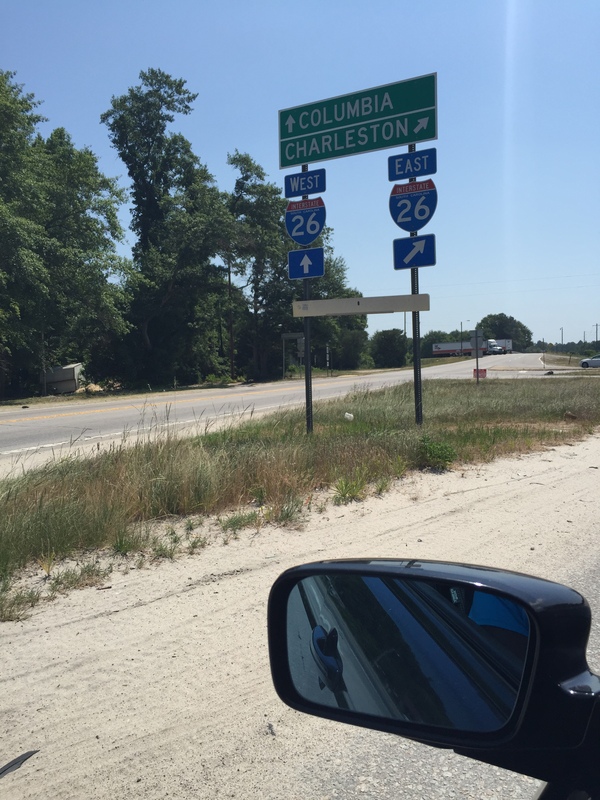 My immediate response was, “NO!” My eyes had just caught sight of the sign declaring our official entry into Charleston, South Carolina. Unfortunately, out of necessity we had to make a stop, but I warned my young backseat travelers that it needed to be quick and why. I recall the emotional temperature of that gas station distinctly. Managed by both black and white employees, the vibe was still…sullen, eerily quiet, a stark difference from the culture we’d left behind in North Carolina. In the days that followed I pondered upon how quickly I ran to that conclusion. As a disclaimer, I would not say this was due to the nature of my profession, but to the natural observance of the capacity of human nature. I had to make sense of this tragedy quickly and my first response was to find him sick, not full of hate. Later on I understood that I couldn’t allow my mind to entertain that level of evil, therefore I gave him another label that quickly put the scarier thought to rest — he was sick. That was that. He couldn’t really have wanted to kill those people who kindly invited him into their prayer group, whose presence he sat in for an hour, who likely showed him God’s love during their last moments on this earth. NO, he was sick, not hateful. And that was the delusion that I chose to take comfort in. Our nation has been on the verge of racial unrest as we are questioning the responses of our men in uniform as black men are dying, in circumstances where their white counterparts are not. We debate the minute details on social media platforms to determine if fair treatment was given to those held in custody, while raw video footage tells a different story. A fraternity out of Oklahoma State University is removed from campus and its members expelled after it is revealed they boldly recited a racist chant in unison en route to an event. (CNN OSU). Stories like this reinforce the reality that we are in danger of a term I call — ignorant ignorance. Ignorant, out of innocence because you simply aren’t aware, coupled with ignorance because you speak words you do not care to educate yourself about. I am believing this is part of the problem. We may have fast forwarded through the ugliness of segregation and racial inequality so quickly, that we have new generations that are not completely void of racism, yet do not truly understand how far we’ve come because we do not want to talk about it…and potentially admit it still exists. Racism does and will continue to exist, if we do not continue to take active stances against it. Today the flag came down and I am glad. As a child this was a symbol of hatred and something I feared. As an adult I understood other layers of symbolism behind it, but the undertones still remained. Let’s not wait for another undeniably hateful tragedy for movement to continue forging in the right direction. We cannot continue to brush this problem under the rug, we are indebted to those who fought so hard to bring us to where we are today. Let’s set the fear of “stirring the pot” aside and work together to radically change our future. We owe it to our past.